I'm thankful for pioneers. 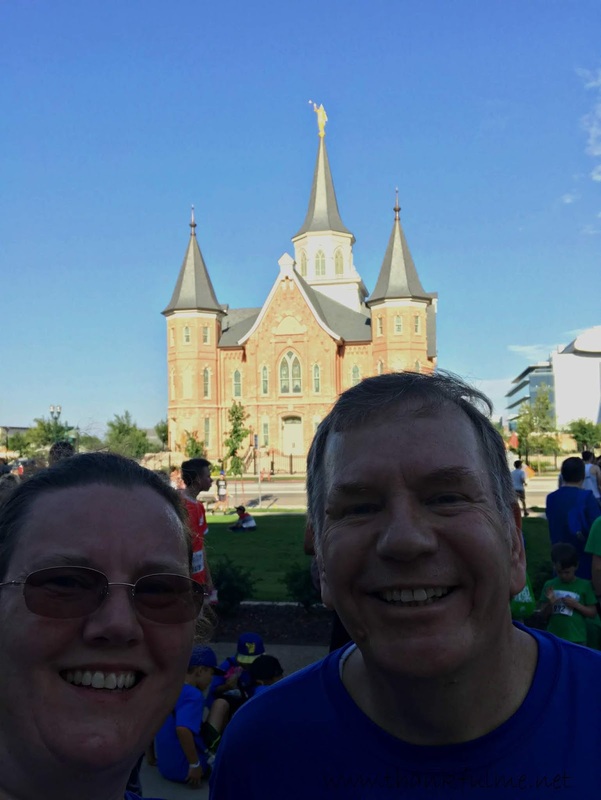 Regardless of whether or not our ancestors were pioneers (Mormon or otherwise), we all benefit from those who came before us. On Thursday, we went to the Hogle Zoo, where we fed a giraffe, saw Nora and Hope (the young polar bears), and observed all sorts of unusual animals. Saturday's activities involved a couple of short hikes at the Temple Quarry trail in Little Cottonwood Canyon and Bridal Veil Falls in Provo Canyon. That evening, we went miniature golfing. Of course, our family can't go mini-golfing without retelling the story of the time John and a couple of the kids got locked inside the fun center. I'm thankful for good friends. I'm not sure how to consolidate a decade or so of memories and friendship into a paragraph. Let's just say that we enjoyed spending time together! I'm thankful for this house. Growing up, I lived in a house that was near the park where the city had their 4th of July fireworks display, and we always watched the show from our own front yard. I love those memories. This house affords views, and on Pioneer Day, John and I could watch fireworks going off all across the valley. I'm thankful for a splinter being gone. I easily picked up a splinter while doing yard work earlier this week, but I couldn't seem to get rid of it so easily. After several days, I finally managed to get it out, and what a relief! Just another reminder to me that little things can make a big difference. I'm thankful for little kindnesses. While on a walk this past week, I noticed a bike repair station near a trail head. What a great idea, to have tools and air readily and freely available to those who might need them! Photo: Bike repair tools dangle from a cable attached to a metal post. Near the ground, an air pump is also attached to the post. I'm thankful for my children. I always appreciate hearing from each of them. I'm thankful for John. He works at his job, completes home projects, takes time for fun, and is training for a marathon. I love being married to him! How is your summer going? What are you thankful for this week? Feel free to comment below, or link up your own post! 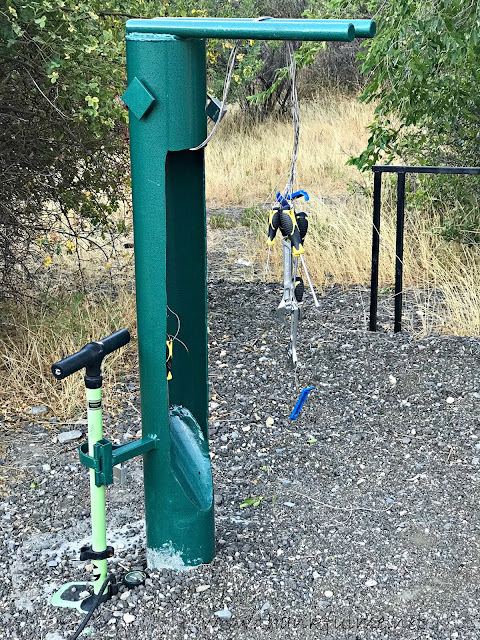 Some other bloggers in various states have mentioned the bike repair stations. The stations are a wonderful feature for bikers. I'm glad you were able to join your friend on the adventures. The escape room would be a fun challenge. The escape room really was a lot of fun; I would like to go back and try out the other rooms they offer. Each one has a different theme. What a busy and fun week you had! The upside down gecko makes me laugh. 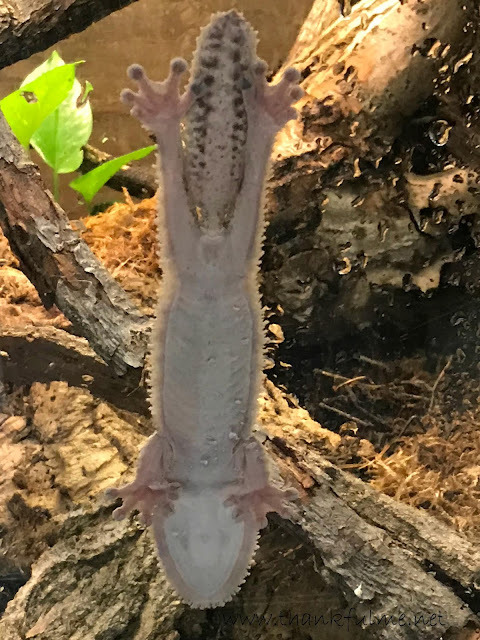 I can safely say I've never seen one plastered to the side of a terrarium like that. I don't remember if the giraffe snatched the lunch bag from her or not, but maybe she was on a school field trip at the time? I know that I had fed giraffes before on school field trips. The gecko makes me laugh, too! Sounds like your staycation was action packed. It's so nice to share good times with friends. Congrats on the 5K. I walked a 15K once and at the end I was jogging just to finish. I admire your tenacity. What a wonderful week and Ten Things of Thankfulness. Thanks for sharing both. I know I would enjoy many of the things you did on your staycation. I need to find out more about escape rooms -- they keep popping up in things I'm reading. 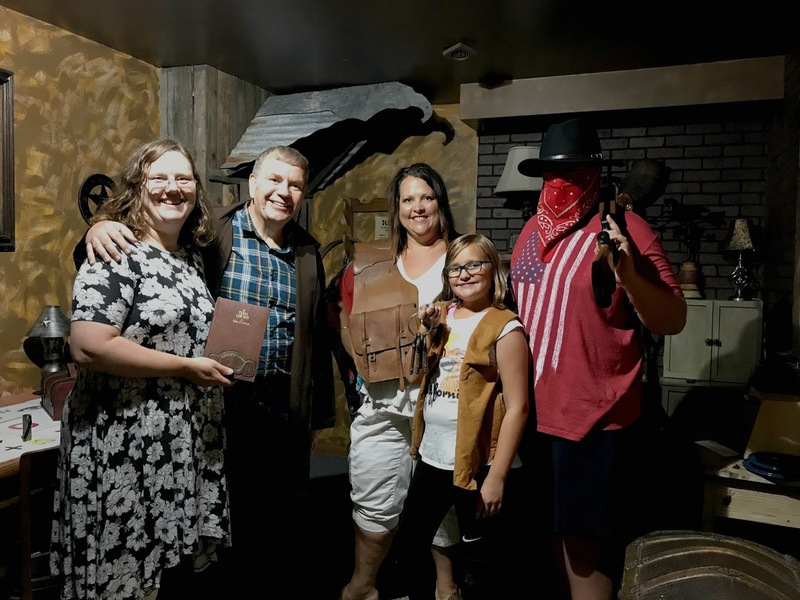 This particular escape room had a wild west theme. Apparently we had witnessed a crime, but were falsely accused of being participants, and were locked in a jail cell. We had to figure out how to escape, by looking for clues throughout the room. There were several locked boxes that contained puzzle pieces or tools we needed. It was really a lot of fun!